Now after all the success David Dubbs loves to train people in internet marketing. He knows when people start to chase you instead of you chasing them you can have a lot of success. David has spoken on many stages to thousands of people. He has spoken to many network marketing companies and at internet marketing seminars around the world. Use the navigation to watch videos of these events. WHERE IS DAVID DUBBS NOW? David Dubbs struggled as an network marketer for years. He barely could get anyone to sign up in any deal other than his mom.. 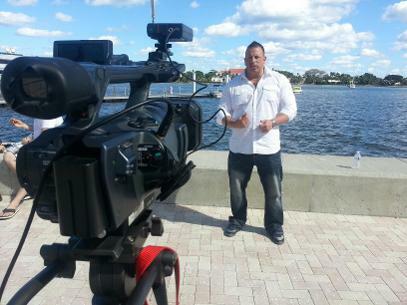 He believed in the network marketing industry but got discouraged quick hearing the word no! David Dubbs felt there was a better way to build a company so he turned to the internet. He used to be a shoe store district manager running 20 stores in four states. He was on the road 45-70 hours per week. While it was a good job with a good salary, car and expense account he knew there was more. So he started to get on the internet knowing there was a lot of people just like him out there. He knew if he could find like minded people he didn't have to convince he would have success. David Dubbs started to build capture page and learned how to place ads online. He started to get tons of people opting in and the phone started to ring. With all that activity the downline started to grow. From that point David Dubbs went on to become a top earner in over 8 companies. David Dubbs is now retired and just helps others succeed in their businesses using his marketing tools at The Conversion Pros.